Are you ready to win $50.00? Enter the January contest! when the seven deadly sins want to quit? trace are tracked by one with supernatural abilities. • A hippopotamus can consume over one hundred pounds of grass EVERY night? • That hippos can sleep underwater? • A hippo makes an excellent sleepover guest?! Written by a family for your family, Humongous Hippopotamus by Michael Wills (with a helping hand from his two young daughters) gives a fantastic insight into the minds, lives and imaginations of these fascinating creatures: from feeding to sleeping to swimming. And then back to feeding again. Available exclusively as a downloadable e-book, Humongous Hippopotamus is aimed at children of all ages – and their adults! A great balance of fact and fiction, this e-book is packed with humor (which will appeal as much to grown-ups as kids) and interspersed with true, educational snippets about hippos. It’s also superbly illustrated with a selection of gorgeous, fun, colorful photos that children will love to look at. The text is simple enough for a preschooler to understand, easy enough for a second-grader to try to read alone, yet interesting enough to keep older children amused too. When it comes to literary critics, children are the harshest of all, but Humungous Hippopotamus is one e-book that will keep them entertained from start to finish – just take a look at the Amazon reviews and reader feedback and see for yourself. Whether you’re a parent, teacher, First-Grader or a cool older kid, you NEED to download this book today. It’s fun, funny, easy-to-read and (sssshhhh!) educational too. Not to mention the benefits of using interactive, modern technology with your little ones. Humungous Hippopotamus offers the perfect opportunity to explore the wilds of Africa from the comfort of Mom or Dad’s knee: great for daytime, bedtime or anytime. And the children won’t even notice how much they’re learning! You’ve seen the harm inflicted in Michael Montoure’s SLICES, and you saw the countdown begin in COUNTING FROM TEN. But you’re still not safe. There’s more you need to learn before the damage sets in. Bring back the dead in “The Lessons Learned and the Damage Done” — but be careful who’s watching. Build the walls that keep the monsters out in “Melt the Bullet, Blunt the Knife” — but don’t get trapped inside. Ten more unsettling stories to be read in the dark. Read them tonight. The Evil Trilogy: Despite growing up together in their trendy Beverly Hills neighborhood, three best friends hide dark childhoods. The lives of Kit, Baylee and Quinn have been anything but perfect. Little do they know a stranger is about to unravel long, buried secrets, bringing the past back to life with a vengeance. Christmas is coming to Denver, Colorado, but it isn’t only snow that’s falling. A beautiful young woman, who also happens to be a Truman County Assistant DA, tumbles from her apartment balcony to her death on Christmas Eve. The incident is ruled a suicide, but the DA’s sister, newspaper reporter Samantha Church, isn’t buying it. 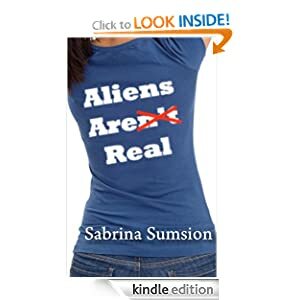 Feverishly Samantha throws herself into finding out what really happened to her sister. 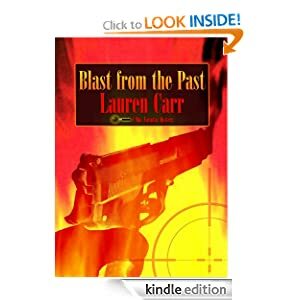 She pursues her sister’s killers, maneuvering through a minefield of intrigue deliberately set out to divert her from the truth. She invariably stumbles when confronted by the inescapable specter of a greater enemy: the alcohol dependency that has already cost her the respect of her peers, and, worse, custody of her daughter. Samantha must summon the courage to face not only a cartel of criminals, but also her own demons. 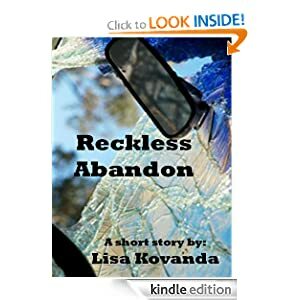 Physically threatened and betrayed, she nearly defeats herself through her own insecurities and fears. She not only must summon the courage to get beyond her own shortcomings, but she must work quickly to beat her nemesis – a reporter at the major metropolitan daily newspaper, who is also in close pursuit of the developing story. Can Samantha ultimately prevail, write the biggest story of her career, and finally begin to change her life before it is too late? 'Maggie Mouse Learns to Share' is a sweet rhyming short picture book about a young girl mouse that learns how sharing can be fun. 'Grandma' shows Maggie how important sharing is after Maggie has a breakdown because her sister 'Baby Sue' touched one of her toys. 'Maggie Mouse Learns to Share' was written for children 0-3 years old, but early readers love it too! Young children are developing a sense of individuality and can sometimes struggle with sharing and living in a community. 'Maggie Mouse Learns to Share' will help show the young ones at home how important it is to share, and how fun it can be, too! The story in this short children's book is beautifully told through rhymes and cute illustrations. 'Maggie Mouse Learns to Share' is a perfect gift for new parents, parents with young kids, and for early readers. And when Maurice turns Reginald to save his life, it's just Reginald's own further bad luck that he wakes up to discover he's become the slowest, weakest, most out-of-shape vampire ever born, doomed to "heal" to his corpulent self for all of eternity. As Reginald struggles with the downsides of being a fat vampire -- too slow to catch people to feed on, mocked by those he tries to glamour, assaulted by his intended prey and left for undead -- he discovers in himself rare powers that few vampires haveâ€¦ and just in time too, because the Vampire Council might just want his head for being an inferior representative of their race. Nadine Stefano is a high flying career woman. She has no time for relationships and having been recently promoted at work, she wants to make a good impression with her boss. At her sister's hen party Nadine meets Ethan who is one of the performers. She finds herself attracted to him and they end up talking that first night. Charlie Sparrow has no idea he can fly. It’s no wonder–in Tree City, none of the birds know anything about flying at all. Not Charlie’s parents, not his friends, not the doctors or police. But Charlie is sure there’s a magical secret behind his feathers. He’ll do anything to find out what it is, even break the laws of Tree City. Will he figure out the truth before Doctor Nightingale straps him in the plucking chair and pulls the lever, plucking his beautiful feathers? "The world of finance suited me well. My life was my job and my job was my life. I never socialized on weekends and always politely declined the few invitations, alleging either that I was not feeling well or that I had a family gathering to attend. Only I had no family--with the exception of my mother, who lived miles away in South Florida. At thirty-seven, I was far from wanting a family of my own; I couldn't remember the last time the thought came up. I wanted no chaos in my life. But I have come to learn that life happens independent from what we want." Rita Ray was cold-hearted, no doubt, a straight shooter with an enviable banking career in New York City. She had no real recollections of her childhood before the age of ten, when she fled with her mother from Brazil to the United States. She never learned why. A box of letters, found following her mother's death, will reveal evidence of a puzzling past back in Brazil. Born in Rio is a moving, psychologically charged novel with thrilling turns, embraced by a contemporary love affair in Rio de Janeiro. Rita's journey of discovery, and self-discovery, delights readers in a well-crafted plot among lush descriptions of Brazil--its history, its people and its soul. Laced with wit and spiced with mystery, it's a compelling, transporting tale with a heart. In the 2016 Summer Olympic city Rita might just find what she never thought she was looking for. An immigrant story. A devastating crime. A chance to forgive, to love again. And a woman born in Rio. After suffering a near-death accident, retired Marine Casper Brown awakes with a strange new connection to three stray dogs recently adopted by his family. Casper's nights are filled with dreams of the dogs' activities, at times he can even see through their eyes. And what he witnesses has him worried for his family's safety. AN ENIGMATIC EVIL IS HIDING, WAITING TO STRIKE. As he searches for the truth, Casper crosses paths with the wealthy Pummel family. The Pummels are the most beloved family in town. Though their philanthropy and charisma form a cloud of mystery about them, their work with the town's exotic cat rescue center has captured the heart of the people. But the Pummels are guarding a secret. One they will kill to keep quiet. Shadeland is a town of shadows and secrets, where hunters hide in plain sight and prey scurry about unaware. But as the disappearances increase, Casper finds himself in the path of a predator lurking in the forest outside of town, one unlike any the world has ever seen. ITS SURVIVAL IS OUR DOOM. Fleeing the Pummels' wrath and stalked by an unimaginable evil, Casper must rely on the dogs he fears to save those he loves. This venison cookbook is the combined cooking knowledge and experience of more than 90 years of testing and preparing delicious venison dishes that are heart-healthy, low in fat and calories and high in protein. Learn how to field-dress a deer, how to prepare and cook deer meat and what side dishes to serve with your wild game. This guide contains more than 100 venison recipes prepared with ground venison, venison loins, venison roasts, venison steaks and venison stew meat, along with over 150 vegetable, soup, appetizer, salad, bread and dessert recipes that will combine with your venison main course to create delicious meals. These recipes are made with easy-to-find ingredients and are great ways to use your freshly-taken venison, or to clear-out the leftover venison you have in your freezer. Most recipes are on one-page each, so you can lay your tablet or phone on the kitchen table and follow the directions for the recipe. Too, you can download the book on your SmartPhone, lay your phone on the kitchen counter and read the directions for each recipe. E-books make taking your cookbooks with you anywhere easy! Many of these recipes can be prepared at home and taken to the deer camp or the fishing camp to be enjoyed at a later date. Now includes a fully clickable table of contents for easy recipe navigation! No mission is more important. No adventure, more rewarding. Anyone can make a 'masterpiece' of their lives and skillfully practice 'life' as a balanced, integrated 'craft' - rather than the all too common experience of muddling through life as a random collection of unrelated experiences. And, know ahead of time exactly what the curriculum is for your entire life (and for teaching your children), vs. passing through life by 'intuition' (i.e.) "flying by the seat of your pants". Your life is unique, and in the primary care of a single craftsperson. You are that craftsperson. To shape your life into a 'masterpiece' - a 'work of art' - requires training, practice and the skillful application of the tools of the craft to make a masterpiece of your life. Kathryn Walters is faced with this dreadful decision when her daughter, Shelley, is found dead in a bath in her boyfriend's flat. Despite the best efforts of the Crown Prosecution barrister, Sarah Newby, it seems likely that the boyfriend, David Kidd, will be acquitted. How can her family tolerate this? And how should the investigating detective, Terry Bateson, act when it seems that the murdered girl's mother is seeking revenge on the man he is certain killed Shelley in the first place? Christine Daae, a beautiful child of eleven years, travels by bus from Chicago to Los Angeles with her widowed father, where he hopes to enroll her in The Belen Conservatory of Music as a scholarship student. Homeless and destitute, carrying everything they own, they arrive in Los Angeles and immediately begin working as street performers to earn money for food, making their way to Santa Monica, where Christine is excited to see the beach for the first time. Twelve-year-old Raoul Chagny, strolling along the Santa Monica Pier with his governess, is enraptured by this beautiful young girl who sings with the voice of an angel. Raoul, either heroically or foolishly, leaps off the pier into the Pacific Ocean to rescue Christine's scarf, floating away on a sea breeze, and the seeds of an enduring romance are planted. Christine and her father find lodging in the guest house of Professor Valerius, a university music professor, and his wife. Raoul, a promising violinist, is soon taking lessons from Daae. The Angel of Music is loosely based on the novel The Phantom of the Opera, by Gaston Leroux, and is a current-day retelling in three parts of the timeless story. Part I: The Enchanted Violin, follows young Christine from her trip to Los Angeles to her audition for the conservatory. But what happens when they get damaged, is she going to lose her sparkle? "Sparkly Me", a book for girls age 3-6 will make their heart sparkle. Mike McDaniels has the perfect life; a loving wife, two beautiful kids, he’s a pillar of the community. Then insanity strikes in the form of a madman with a rifle. Next he’s targeted by the mob. Finally, his brother gets mixed up with terrorists and their evil plot to kill Americans. He tries telling the police, but they don’t believe him. His family and friends don’t believe him either. Now he's forced to act. Will all his skills as a Tae Kwan Do expert keep him alive when so much is at stake? Only time will tell...And so little remains before the bomb maker and the vicious sleeper cell unleashes hell on the city of Boston. CIA agent Danielle "Dani" Williamson never stops believing that one day she'll find the man who killed her parents and stole her childhood. 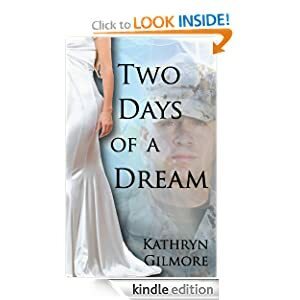 And when the nightmare she relives in her dreams is played out in carbon copy and linked to a group the CIA believes is planning a terrorist attack in the US, Dani thinks she might finally have her chance. Detective Ty Fuller loved being a Navy SEAL, but after seeing one too many innocent children killed, he was no longer able to stomach the world of politics, manipulation, and death. Now, as a detective with his local vice squad, he likes to think he's helping kids by keeping drugs off the streets--local problems, local solutions. But when Dani and her team arrive, they bring a case bigger than anything Ty's small New England town has seen in decades, drugs in exchange for weapons-lots of them. And as the case unfolds and the tensions simmer between them, Dani and Ty discover that all is not what it seems. Uncovering a web of manipulation that spans the globe and reaches all the way to the US president, they know the price for justice will be high, risking not just their fledgling relationship, but their very lives. Think carefully about reading this book. It's filled with things like sword fights and flying horses, death and magic, violence and huge evil monsters, and there is absolutely no hope that life will turn out okay at the end. If you do choose to read this book, prepare yourself. This is not a story for the faint of heart. Your beliefs are guaranteed to be challenged. The monsters will never give up until they catch you, the magic is too strong to fight, and the disease from the water is impossible to cure. Kai, Taryn, and Lizzy have to purify the toxic water of Eltiria before anyone else dies. If they don't, life as they know it will cease to exist. A Winged Horse sets them on the search to locate the source of the poison and to find their faith while battling to see the truth in a world of chaos and destruction. attack her from behind. She does not know if it was just her nerves, but it felt like she was being watched.â€œMia, I was expecting you a bit later. her trembling body, holding her like one would hold a scared child. 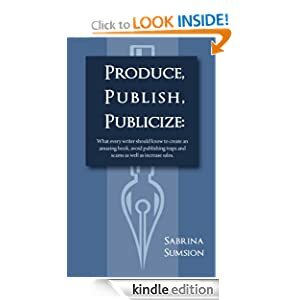 The book covers a form of rote learning that involves writing down an abbreviated list of steps required to complete a process in the workplace – to use as a quick reference until your memory kicks in. 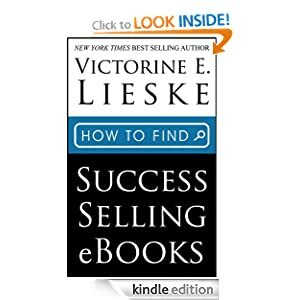 The book title is a reference to people who perpetuate the belief that taking notes exposes a human weakness – a sort of tough-guy attitude that can make you feel uncomfortable about jotting something down to remember it. If you are having problems in the workplace and have been accused of being incompetent, this book can assist. If you would like to move to another job, but need to keep the one you are in until you make your move, these techniques can help you keep your job until it's time to escape. Mankind has been all but wiped out. A ravenous plague of alien, scorpion-like creatures has invaded both cities and countryside, devouring every living thing they can find. Ben is the only survivor in his desert community ninety miles north of Los Angeles. For all he knows, everyone else in the world is dead. But he has a small supply of canned food and water, and he's prepared to wait out the apocalypse - until a group of outsiders stumbles across his hiding place. ...or the human monsters within? BOTTLE FULL OF SCORPIONS is apocalyptic horror at its most terrifying. Warning: graphic violence, sexual content, R-rated profanity. This story is about 4,600 words. Truffles truly is a star dog! My Name is Truffles is a delightful book for children aged 2 years to 6 years. The narrator of this book is Truffles, an adorable and endearing dog. Meet Truffles and learn with him as he interacts with his new friends in this beautifully illustrated picture book for young children. This is the first book in the series, and in it, we are introduced to our hero - the dog star in the making...Truffles. Pick up a copy of this humorous, rhyming picture book and before you know it, you'll be laughing along with your child as they point out all the silly things Truffles does and says as he learns from his friends and teaches them things too! Your child will laugh and learn along with this wonderful dog star! This story is based on the real Truffles. He is a beautiful, border collie who lives in Australia. Now purchase "A Dog Star in the Making: My Name is Truffles" for your child at this low introductory price. For William Barrow, two thousand years is a very long time…too long, when it is a perpetual punishment for betraying Jesus Christ. The man originally known as Judas Iscariot is on a mission to recover thirty silver shekels once paid to him for his ultimate treachery. Twenty-two coins have been recovered, leaving just eight to go. But when his Russian nemesis, Viktor Kaslow, also becomes immortal, the stakes are immediately raised. Kaslow has followed William and his son, Alistair, to Hong Kong in search of a ‘blood coin’ passed down through Genghis Khan. The coin presently belongs to an esteemed Chinese collection. But along with the coin are other cursed items from the famed Mongol Emperor. William soon learns he can’t have the ‘one’ without the others. William has waited eight hundred years for a second chance to reclaim this particular coin that inspired the Mongolian Empire’s bloody violence it was once famous for. While Kaslow closes in, seeking his own vengeance, William and Alistair race against the CIA and an unscrupulous American businessman intent on reaching the cursed ‘treasure trove’ before them. Much is at stake for the Barrows and the world, as a deadly weapon unseen for centuries lies in wait alongside blood coin number twenty-three…. Accompanied by her naturalist husband and clockwork cat, Chloe is determined to see her friend's killer found. Centuries ago, God proclaimed to His angelic host that certain individuals had been chosen to complete a special task, one that would remain unknown until the time set for its accomplishment. A demon, who became privy to this announcement, immediately sought to thwart that plan but was kept restrained by a number of God's heavenly warriors. Now, many years later, that demon has learned God will allow a single person's life to be placed in his hands very soon, and he hopes this is the chance to annihilate one of those chosen to fulfill God's will. Several lives hang in the balance, yet, once again, holy angels have been dispatched to keep the demon in line. God's purpose is sure to succeed, but what will the outcome be? Find out in the pages of Seraphic Soldiers: The Fourth Estate. With the brunt of the Chinese attack repelled, Star Force pushes into the enemy's Lunar territories, intent on ending the brief war by expelling the attackers from the moon entirely. Meanwhile the naval conflict escalates, with the Chinese fleet still running dark and unaccounted for. "Disarmament" is the 10th episode in the series. 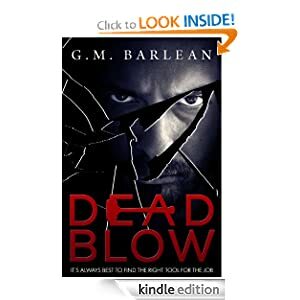 The last thing Aaron March expected when he stumbled onto the scene of a fatal car accident was to be entangled in a mystery featuring his favorite author, Laurel Wentworth. Her husband - and another woman - were killed in the crash in unusual circumstances. Conflicting evidence at the scene whirls Aaron and Laurel into a world of danger. Violence and fear turn their lives upside down. Will they solve the mystery of her husband's death and return to their peaceful lives or will the killer have two more victims?